Euthanasia and the right to die are important issues, and—if you’re for them—every polemical push is probably a good thing. 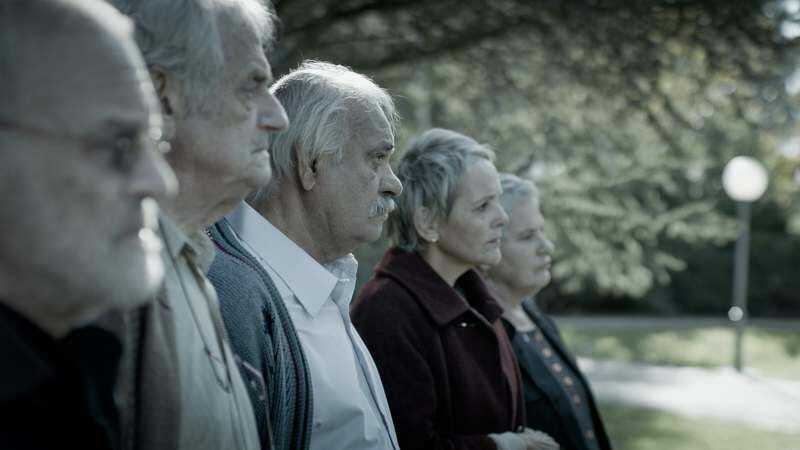 The Farewell Party leaves no doubt as to where it stands on the right to die with dignity when facing terminal illness, but it’s so clumsily made that it serves only to exasperate. Co-writers/directors Tal Granit and Sharon Maymon clearly made a calculated gamble to use a spoonful of metaphorical sugar to coat a bitter pill, but their touch is fatally clunky. Retiree Yehezkel (Ze’ev Ravach) fills out his days in a Jerusalem retirement home by tinkering (Gremlins-dad-style) with well-meaning inventions that don’t work, like a pill dispenser that’s supposed to sound the alarm on the right day for each medication. When a hospital-bound friend’s wife asks for help taking her husband out of his misery, Yehezkel does some research on the best options and settles on Dr. Philip Nitschke’s “Deliverance Machine.” The film is nothing if not educational about this device, which essentially allows those who wish to die to push a button delivering a lethal dose of poison to themselves, thereby hopefully sparing doctors from potential legal prosecution. After successfully constructing the machine, Yehezkel finds himself in demand as an angel of death in a retirement home full of the decaying. 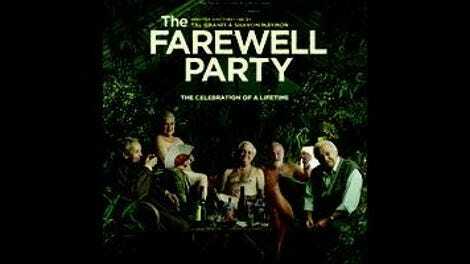 Much of The Farewell Party walks the queasy post-Cocoon line of treating the elderly as objects of affection, but only if they’re sufficiently wacky and childlike. As Levana tells a retirement-home employee while trying to get her friends out of trouble for an infraction of the rules, “Inside, they’re like children. Only their bodies have changed.” There’s something decidedly unsettling and condescending about this attitude toward the elderly, but that’s in keeping with the film’s ham-handed attempts to treat a serious issue like a Very Special Episode of an otherwise innocuous sitcom.